Elon / Project: Retail concept / Role in project: Retail architect in collaboration with Studio Cilla / Brand and in-store communication by 41. 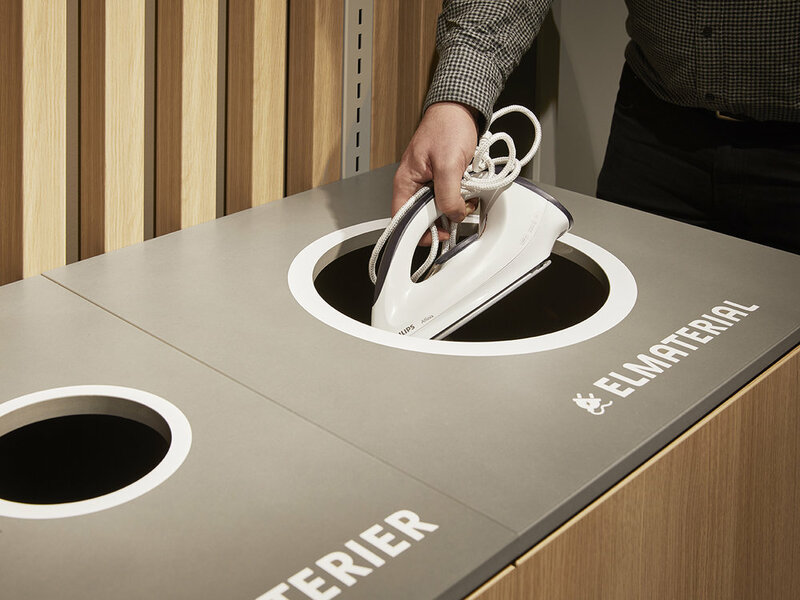 The Swedish white goods chain Elon with its 500 stores around Scandinavia has opened its first stores with a brand-new retail concept. The chain has finally found its home in a warm and inspiring interior where the customer can touch and feel the products in a homey surrounding. A traditional home consists of different rooms and so does the new store concept. This is totally new thinking regarding store layout where the hero products are presented in open inspiring rooms such as The Kitchen, The Bathroom, The Laundry Room etc. 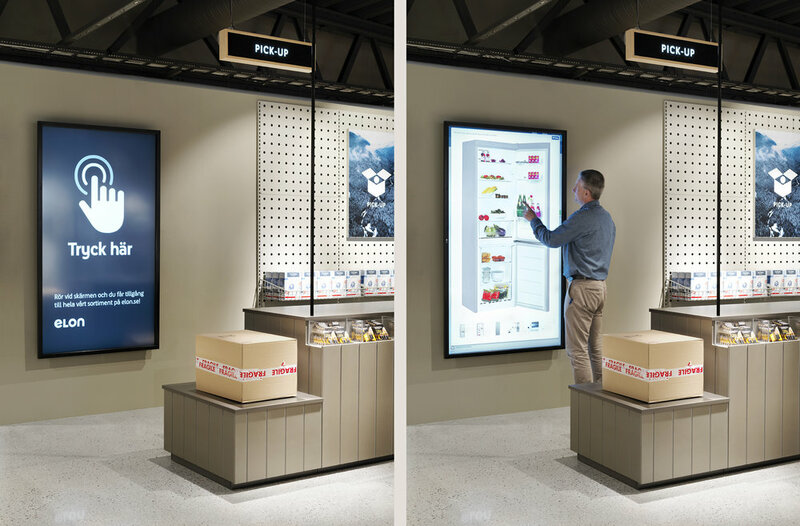 This layout allows the customer to interact with the products in a much more curated and inspiring way. Along the back walls one can find the full range of products and packaging on display. A neutral colour palette with touches of wood surfaces/details, carpets, fabrics, as well as lighting with both spotlights and pendants work to create a homey backdrop to the products within the store. 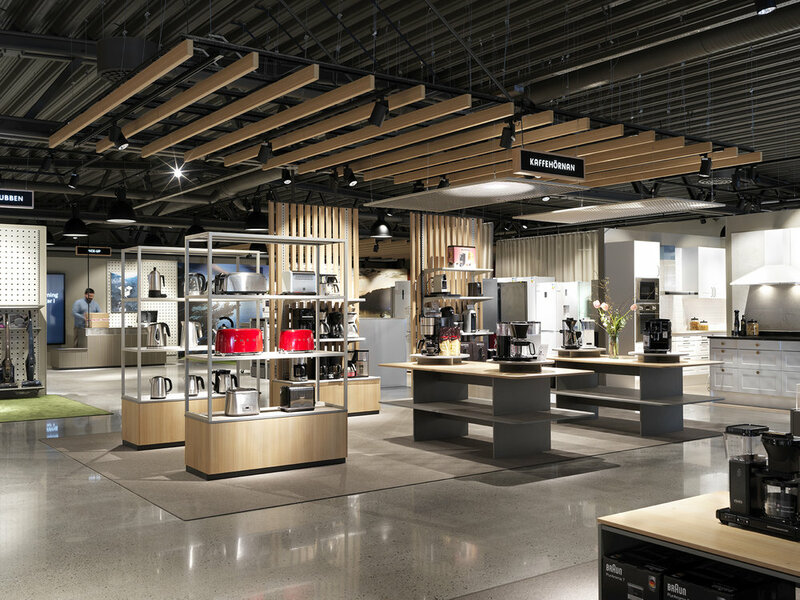 At the center of the new concept, a coffee bar is designed to encourage laid-back interaction between the shopper and Elon staff. The new Elon store is also connected to the on-line store by smart touch screens close to every room. Here the customer can access and be guided through the full product range: order today and pick-up in store tomorrow! A very warm welcome home to Elon.